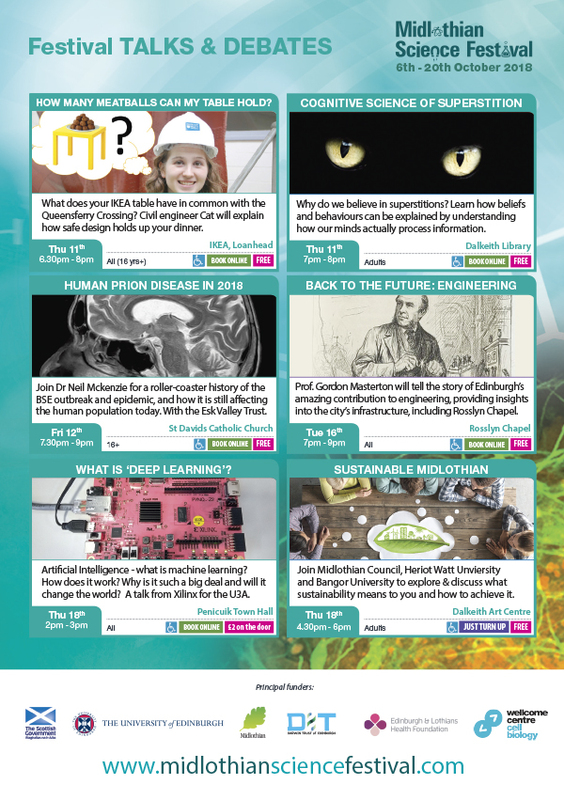 There are plenty of opportunities to hear about relevant, topical and innovative science and research with our talks and debates events. 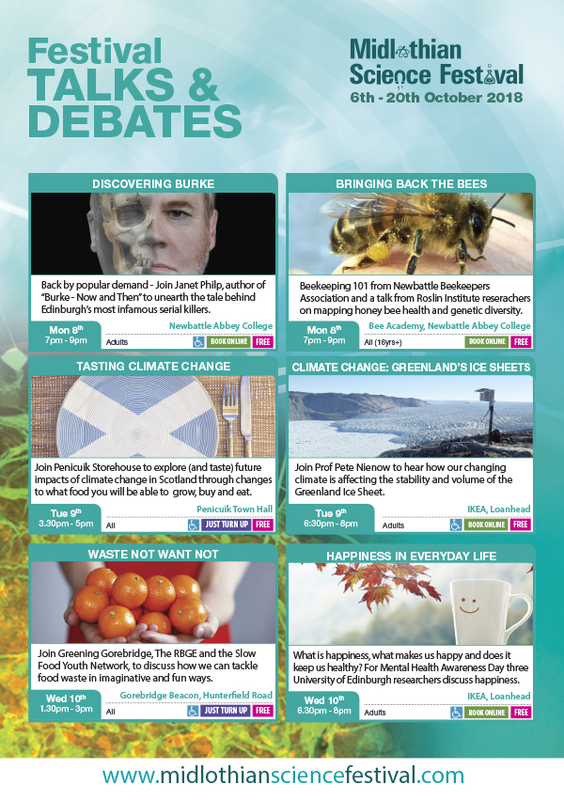 An eclectic mix of topics at an eclectic mix of venues, from the stunning Rosslyn Chapel and Newbattle Abbey College to local libraries, community halls and even IKEA! No previous experience / interest / knowledge required. All are welcome to come along to listen, ask questions, discuss, agree and even disagree… A chance to find out a little more on subjects related to Midlothian, across the globe and beyond! For more information about the talks and debate please go to the events page.